I've featured this gorgeous British indie brand on the blog a few times before and I'm sure you would have spotted photos of Essie and Jude in TWO gear on my Instagram. The clothes are made to order from the softest organic cotton and fabrics can be mixed and matched however you like! 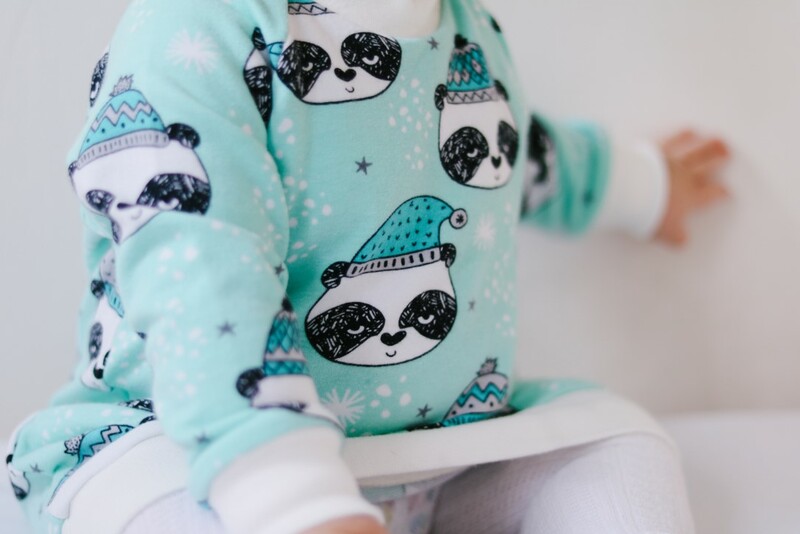 I'm currently one of their brand reps for the autumn/winter season and this Winter Pandas jumper dress was one of the items Essie was sent. You can find Ted Wears Organic on their own website as well as Etsy, Facebook and Instagram. There's also the Ted Wears Organic VIPs Facebook group which is worth joining for sneak peeks, exclusive deals and market night offers!